Whiskey Tango Foxtrot defines dramedy. Its subject matter is torrentially serious, dealing with the ugly reality of Post 9/11 Afghanistan and the routing of the Taliban who nurtured jihadists to unleash bloodshed on Western Society. Yet it is able to soften the harsh subject matter’s crust with some delicacy, some absurdity even in the face of one of the arguably harshest places on Earth. And the environment captured is laudatory. The art direction spares no detail in capturing a crudely developed megalopolitan city, with its most atomic levels being revealed as nothing more than stretches of bare serpentine roads interspersed by open-markets and thick metallic shields which separate one man’s property from another’s. Or the wide open desolate canyons which, taken out of context, would appear eerily serene yet instead provide desert shadows of ominous gloom which bite at the subject in anticipation of a kidnapping or volatile explosion. This film in itself successfully captures the ambiance of Middle-Eastern war, even harsher than a film such as The Hurt Locker because it gives us access to the civilian lifestyle underneath the bombs bursting in air. What then elevates the film is its humor. The context provides virgin soil for jokes and they go unspared albeit sprinkled sparingly into the dialogue. And such lag from the comedy, to the let the drama lead, is appropriate for the film and what it handles. Stupendously the film does not dive into politics. Mass media, which provides the initial injection of a journalist onto the front lines in Kabul, abandons the mission because of sheer market economics. The public simply begins to grow weary of reality not being as neat and tidy as a Hollywood script. The film, however, is not so much driven by this incidental plot, of a journalists’ experience and personal growth when faced with an unconventionally intense environment, where she can put her journalist ensemble in life-threatening situations by simply being a woman. The plot does grow a bit tired in trying to find a resolution when ultimately there could not be any. Instead, the film is really about defying convention and being able to capture a meticulously produced comedic war piece very much akin to Good Morning, Vietnam, if not exceeding the Vietnam film because of its dogmatic approach to the realities of the Afghan war. 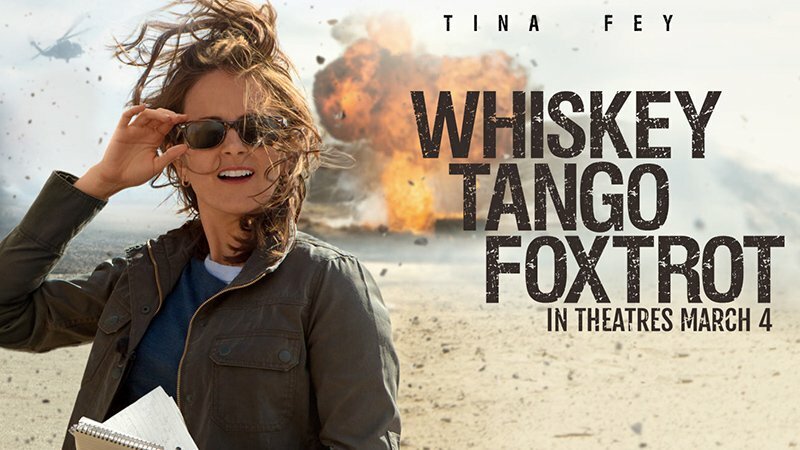 In final, Whiskey Tango Foxtrot, by defining dramedy, successfully redefines the active and passive elements in this genre by providing us an exemplary sample of unbalancing the blend toward seriousness and not the stereotypical levity.